LANSING, Mich. — State Sen. Ken Horn, R-Frankenmuth, co-sponsored legislation on Thursday that would restore the Michigan personal tax exemption that was lost in the recent federal tax reform. Without Senate Bill 748, Michigan families would be hit with a tax hike of nearly $1.5 billion. SB 748 makes necessary changes to maintain the state’s personal exemption and provides an increase in the state personal exemption by $500 to $4,800 by 2021, while remaining tied to inflation. Currently, the state personal tax exemption is scheduled to increase from $4,000 to $4,300 over the next three years. The federal Tax Cut and Jobs Act, in addition to lowering income tax rates, included a streamlined exemption process that eliminated the $4,050 personal exemption at the federal level, setting it to zero. Michigan’s current state income tax law ties the state’s personal exemptions to the federal number of exemptions. Without a revision to the law, Michigan taxpayers would no longer be able to claim the personal exemptions on their state taxes. This would cost state taxpayers around $1.5 billion a year. Horn likened this legislation to other reforms aimed at improving the lives of Michigan residents. “We’ve accomplished a lot in recent years, including passing responsible budgets, providing increased funding to fix our roads and bridges, adding over 163,000 manufacturing jobs since 2009, and passing the MiThrive Initiative — which will revitalize our cities — and the Good Jobs package — which will make sure our young people have significant careers here in Michigan,” he said. 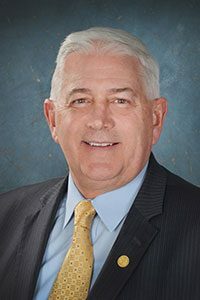 According to bill sponsor and Chairman Brandenburg, the Senate Finance Committee will hold a hearing on SB 748 on Tuesday, Jan. 16.